The apartment boasts very impressive ocean views situated in Simbithi Eco Estate. Its a 3 bedroom 2 full bathrooms neatly decorated apartment. 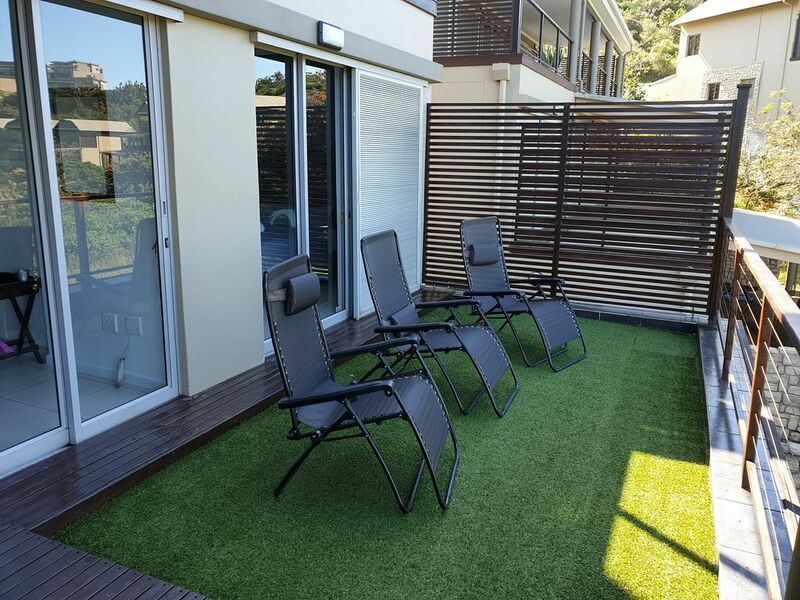 The open plan lounge opens to a patio providing sea views and a private braai. Fully equipped kitchen with a washing machine, microoven, an oven and a coffee machine amongst other appliances. Our Apartment has DSTV. The estate is 10 minutes from King Shaka Airport and a walking distance to Thompson Main Beach.